New to our gnome family is SAINT! What makes his extra special is this sparkling green knit hat made from a recycled sweater and only available in very limited quantities due to the nature of the fabric. 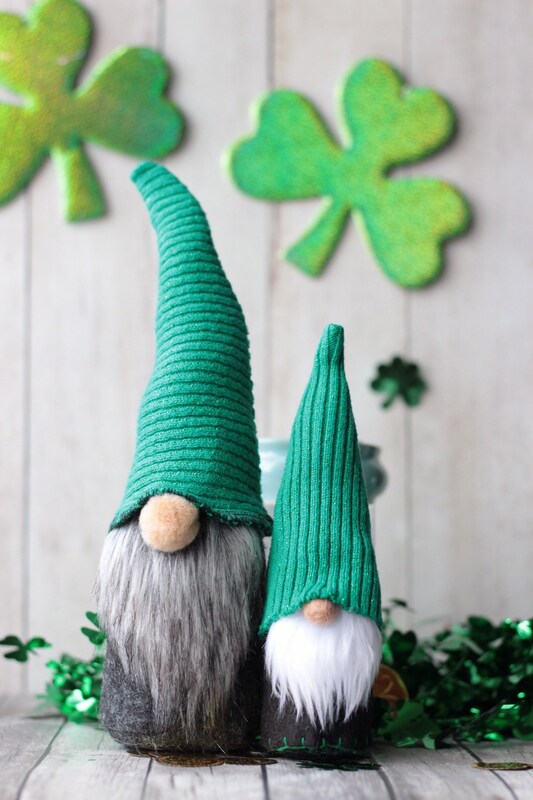 Bright green knit sweater is individually cut and his body sewn with a charcoal gray felt and peppered grey beard. This gnome stands about 12 inches tall. Items are processed within 3-5 business days. Generally I try to get items out sooner than later. The purchase of this listing will be shipped VIA Canada Post Expedited Parcel. Shipping upgrades are available at checkout. Delivery times vary and we are not responsible for delays. /// We hope that you will adopt this friendly gnomes as the perfect edition to your home decor that can be enjoyed all year round. 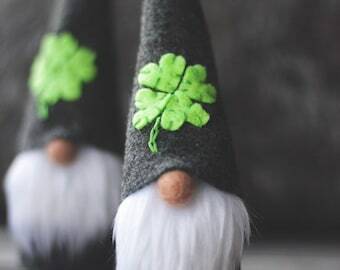 ♥ Every gnome will vary slightly due to the handmade nature.